The road, Oyggjarvegur, or Highway 10 as it’s also known, follows mostly a northerly track, and it didn’t take long to find myself face-to-face with peaks 800 m above the sea. I turned off the main road toward Sornfelli, but despite my Skoda Fabia’s best efforts I couldn’t get past a foot-high snowdrift; the side roads here are not necessarily maintained in the winter. 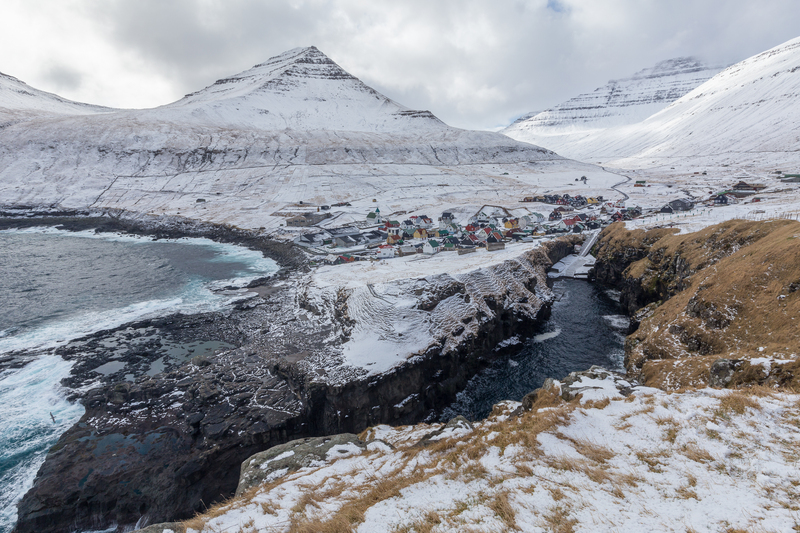 I left the Allgäu, where fresh snow lay only at altitudes above 1200 m, to visit the Faroe Islands, about 14° latitude to the north. Here, approaching the Arctic Circle, Skælingsfjall (Mount Skaelingur) at “just” 767 m was covered down to its lowest flanks. Being surrounded by snow during my attempt to drive up to Sornfelli wouldn’t be my last glimpse of fresh snow, either, despite the weather clearing in the mid-afternoon. 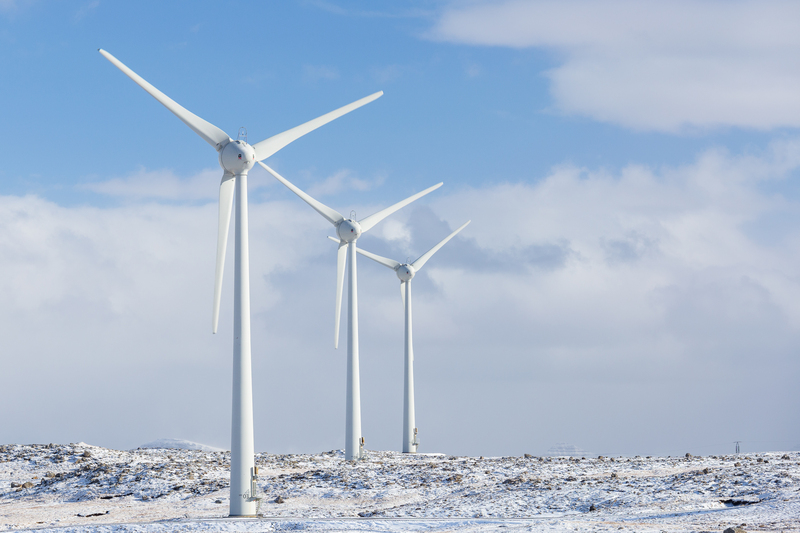 As I drove to Saksun, the roads were dark from melted flakes but the skies blue — a beautiful winter day! Less than half an hour later, as I headed back toward Tórshavn, the snow had returned. The pavement was warm enough from the sunshine it basked in earlier, preventing much accumulation, but I was fascinated by how quickly the weather changed. In most places, it seems the weather cycle is local and changes at the quickest hourly. 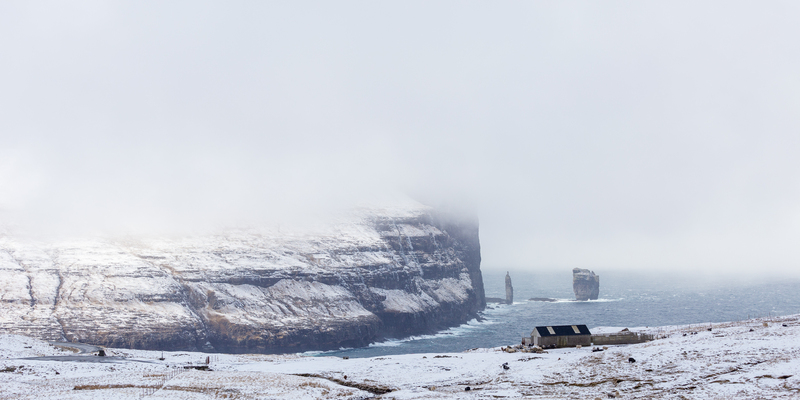 With the Faroes, the weather seemed completely random — and completely unrelated to location. It could be perfectly nice in one spot and hailing not five kilometers away, or it would be storming one second and tranquil the next. Incidentally, the weather service that the Faroese trust most — yr.no — is the same one I was recommended (and have been using since) on my trip to Norway in 2011. It didn’t help too much with predicting exact precipitation, but at least it gave some indication for wind direction and expected trends. Either way, it seemed for every kilometer I drove I had one hundred photo opportunities, and the weather just lent its hand for even more possibilities. My first destination the next morning was Elduvík, a community of no more than two dozen inhabitants. Apart from a farmer feeding his sheep, I was the only one on the road; I wandered into town but a hissing goose successfully deterred me from wandering too far off the main track. With the swirling snow, I didn’t spend much time here, but it has a distinct, if alarming, charm — it had a population of thirty in 2006, but that number has only since decreased. 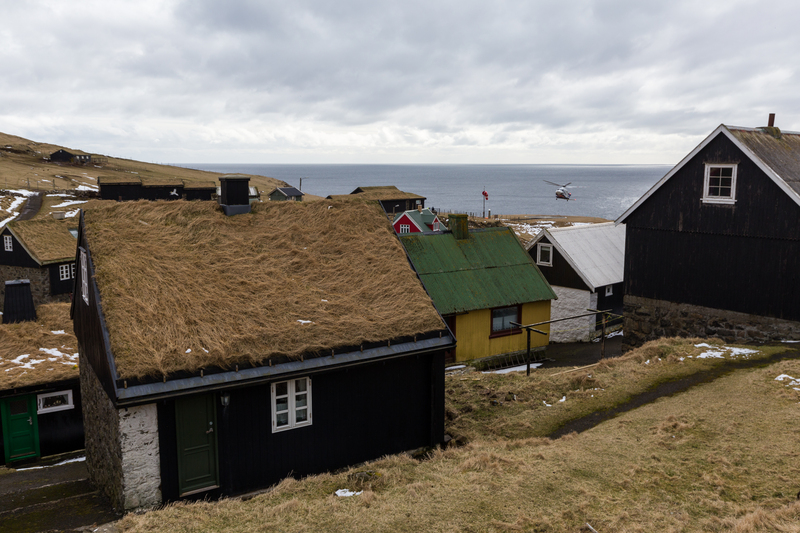 Now, it’s largely farmers who reside here, a story echoed in other small villages in the Faroes as well. Later that day, the weather improved substantially while I was exploring the village of Gjógv. One of the many Faroese words that doesn’t look pronounceable to native English speakers, I was told it is spoken almost like “jay-ff,” but who knows. Tórshavn is supposed to be “Tore-shauwn,” with no v whatsoever, but probably because I was clearly not a native I also heard “Tores-hah-vin” not too infrequently. It’s yet another reminder of the not insignificant advantage that native English speakers have when venturing abroad. Far less than 1% of 1% of the world’s population speaks Faroese (Google doesn’t even offer it as a possible translation choice), but English came as naturally to them as it did to me, though only because English has become the de facto world language. For native English speakers, it’s our expectation that others “just speak English.” In the Faroes, I was fortunate — English sufficed. That morning, though, I was the only person, English-speaking or not, on the rocks jutting out beyond Gjógv, eventually realizing that if I didn’t start moving higher that the incoming tide would strand me there. The word Gjógv means “gorge,” and from the hills above the village it’s clear to see the logic behind it. I headed to the guesthouse in Gjógv for lunch and left just as the skies started to darken again. 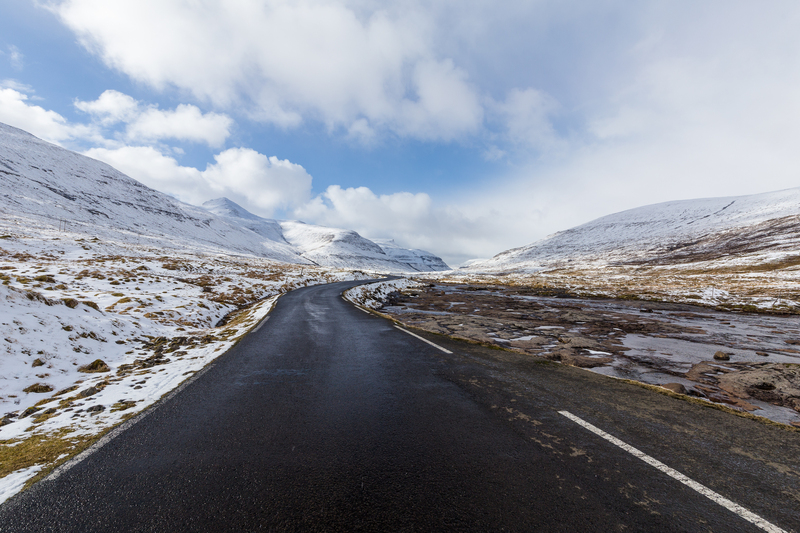 The drive into Eiði (which is pronounced almost as “eye-yuh”) from Gjógv is possible only with two roads: either via Route 662, which ascends sharply to about 400 m elevation, or southward into the central heart of Esturoy and then again north to the westerly northern tip of the island. I chose the former, acknowledging but ignoring a sign that said the road, like the one up Sornfelli from the previous day, was unplowed in winter. 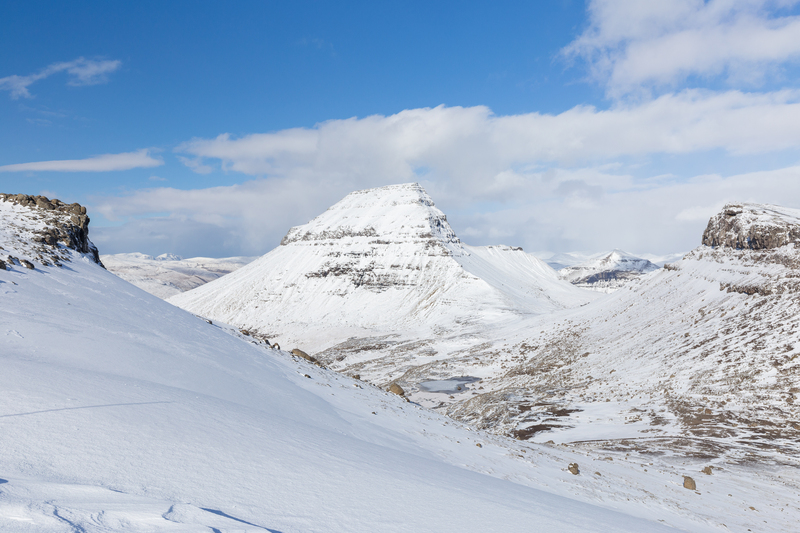 At the road’s crest of Eiðisskarð, also the departure point for the hike up the islands’ highest mountain of Slættaratindur, there was a good eight inches of snow on the ground, and more was still coming down. I had hoped to hike this, but after waiting for half an hour and not seeing any signs of a trail to follow and pretty terrible visibility, I decided to postpone the hike to another day, continuing down toward Eiði instead. 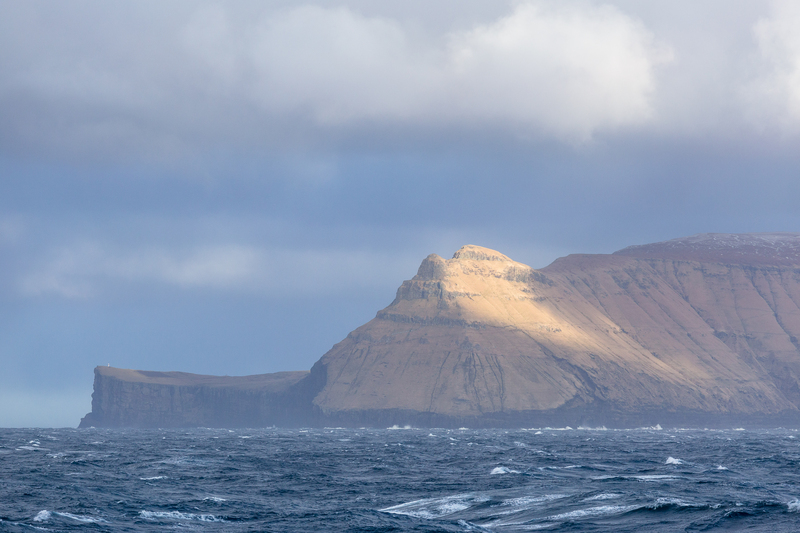 The twin sea stacks of the Witch and the Giant, or Risin og Kellingin, are not without their backstory; legend has it that they were sent from Iceland to bring the Faroes back to their homeland. Not having accomplished their task before sunlight shone down on them, they turned to stone, frozen in place ever since. 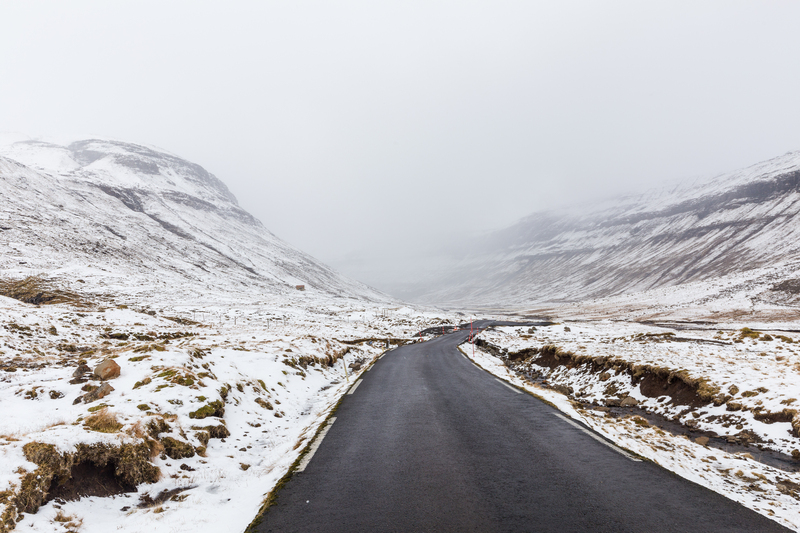 It’s possible to see the result of their toils from at least three locations: above Eiði off the road connecting Eiði to Gjógv is perhaps the most melodramatic, particularly if fog obscures the expanse above the sea. 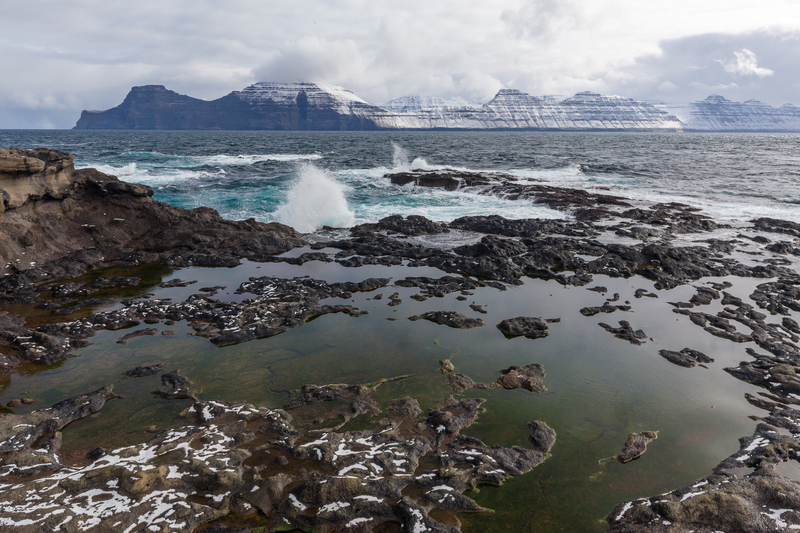 Tjørnuvík, across the strait on Streymoy, is perhaps the more common location for the view of the pair, and on a clear day from the northern tip of Kalsoy the scene also unfolds. 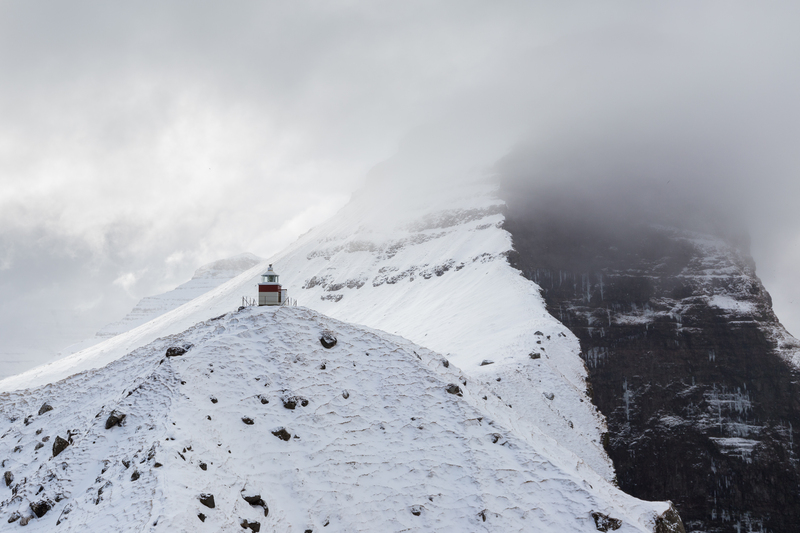 From here, however, the more common gawking is southward, as the Kallur lighthouse, set against the massive wall of the Kalsoy sea cliffs, typically steals the show. Three ferries sailed to Kalsoy from Klaksvík in the time I was on the island, but in the low season, few passengers were tourists to the island with only one main road. A couple arrived at the trailhead slightly later than I did; as I was walking back from the lighthouse, they were heading toward it. I had waited out a brief whiteout and snapped some shots as the clouds and snow moved southwards, glad that the nothernmost ridge gave some cover from the elements as I sat wrapped up in my waterproofed bubble. On the trek back to the car, I ducked behind a large stone to wait out a second storm, peeking around the corner to make sure the other group hadn’t lost their way. I ran into them again back in the town of Trøllanes after speaking to the son of one of the farmers there, who runs a small store filled with candy and next to the family farm. Prior to the construction of the road connecting the island’s main village of Syðradalur to their northern outpost, the only way into the town with a dozen houses was on foot and over a mountain. Today, the town just before Trøllanes, Mikladalur, is best known for its Seal Woman, or Kópakonan. She, too, has a long story, one that is quite sad and placarded on a steel sign above the steps down to her statue. 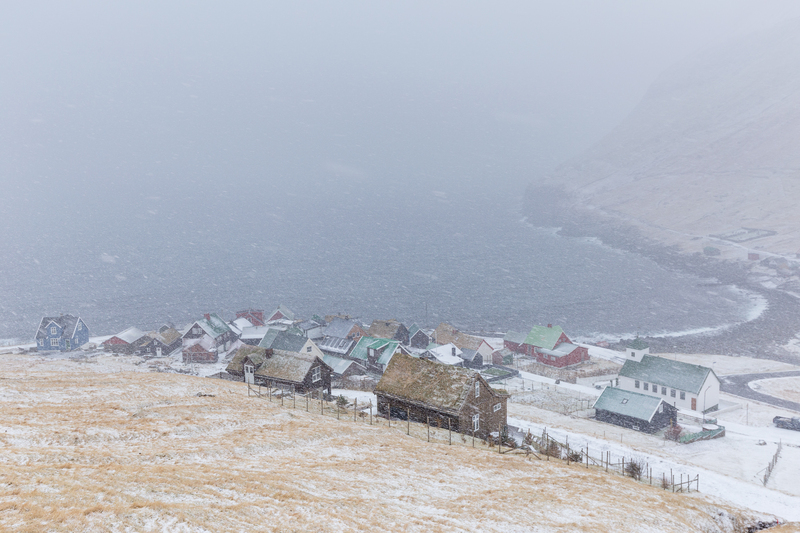 I encountered fairly mild weather the rest of my day on Kalsoy. I got some frozen rain as I headed south toward Syðradalur, but I was content to have gotten good visibility on the day I had decided to head to the lighthouse. Mild weather is not to say the light wasn’t flirtatious, however. 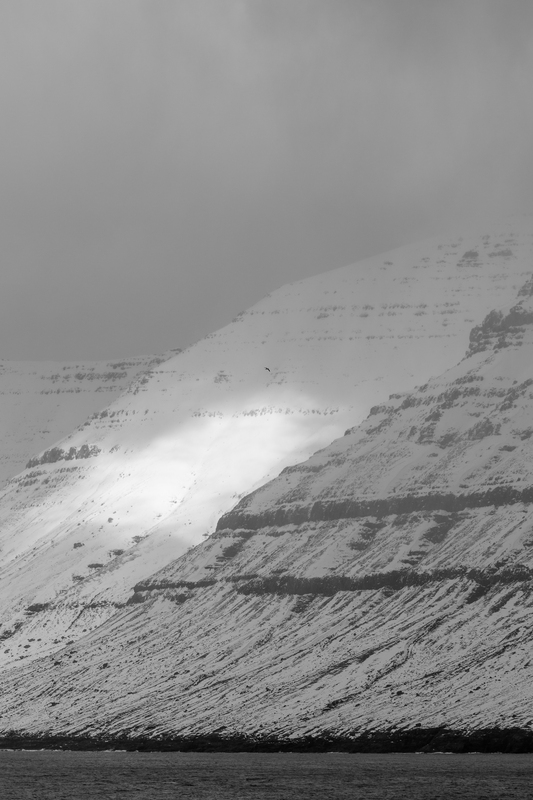 That the Faroes can be sunny in one moment and cloudy in another was no surprise, but it was still incredible to witness the dynamism of the weather. I stood on one side of Kalsoyfjørður, more or less in fairly constant sunshine, watching clouds pass over the island of Kunoy and bring with them spats of rain over the water and land, only to be followed immediately behind by a piercing ray of sunlight through the clouds. 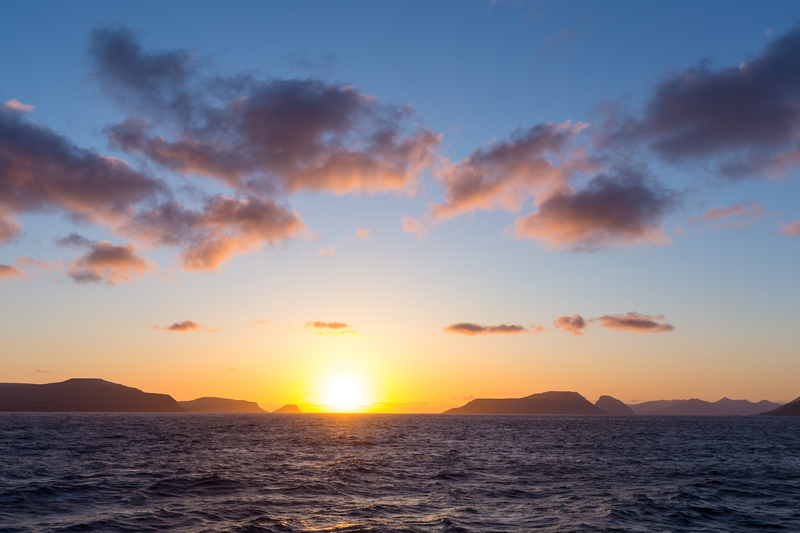 The following day, while I was on Mykines, the light was flatter. 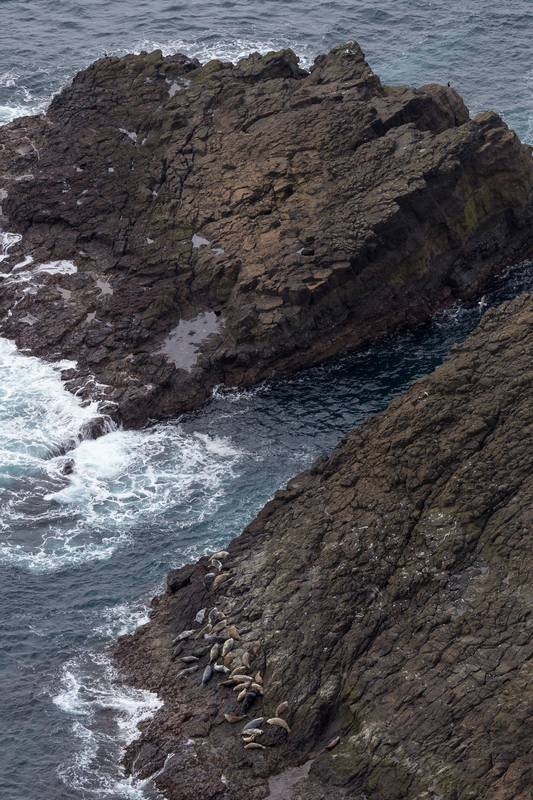 I didn’t take too many shots of the island itself, especially not after I entertained a fascination with gannets. The Northern Gannet wasn’t the only wildlife I was able to spot, however; seals lined some of the shores of the islet, their barks mostly obscured by waves crashing against the rock. The helicopter to take us back to Vágar arrived slightly behind schedule, which gave me more time to explore the island’s buildings. Living here doesn’t seem trivial: no connection to the larger Faroese population except by air and sea on an island whose weather is temperamental at best. After a week in the islands, I still wasn’t really sure how any island really managed to prosper in such admittedly rugged conditions. My guide said that life in the Faroes really isn’t difficult, necessarily; one learns quickly when to go inside when the weather gets rough, for instance. 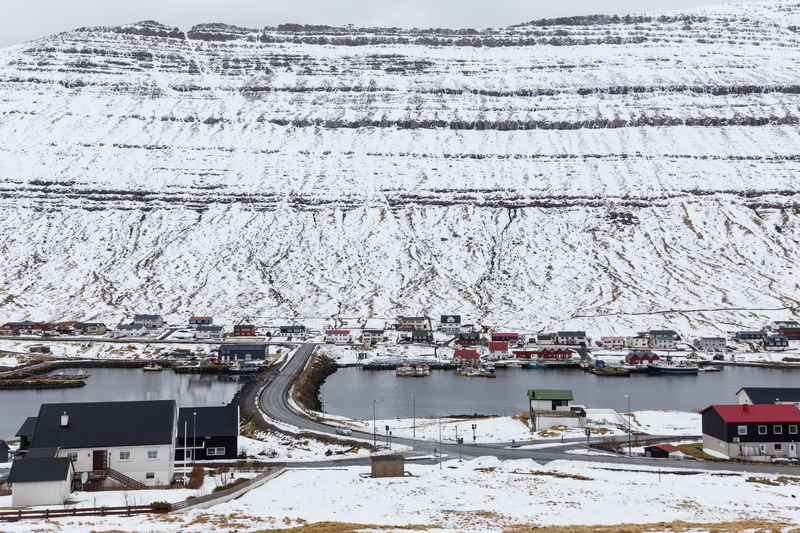 But for a world that seems to pride itself increasingly on access to goods or services, the Faroe Islands still make a run of it with determination, grit, and ingenuity. 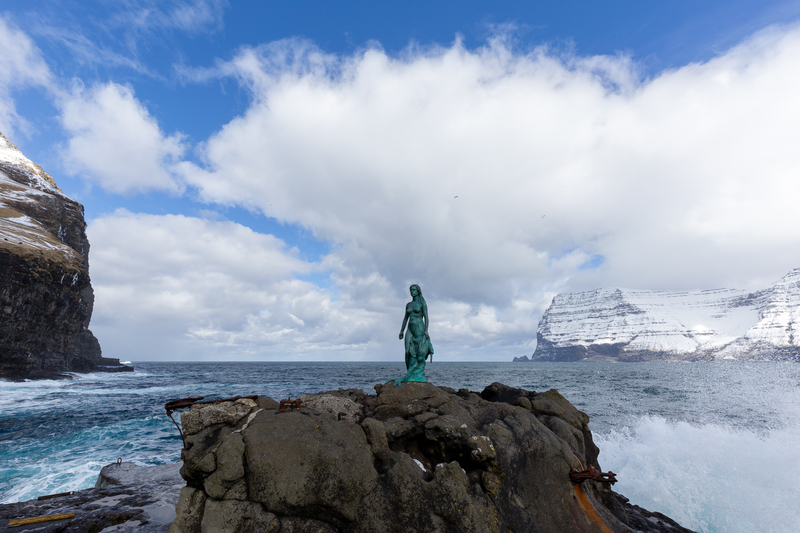 Perhaps this is the true reason for what makes a visit there fascinating: from a modern world, the Faroes appear still traditional, but at their core they embrace and take strength in what works. The thing is, a lot of stuff works out there, and not all of it is old-fashioned. During the two hour ferry from Tórshavn to Suðeroy, I never once lost my LTE signal. In fact, from nowhere on the Faroe Islands did I ever lose my LTE signal (with the potential exception of the subsea tunnels), which is impressive in its own right but doubly so given that the Faroes are islands. I have had worse reception in “developed” countries like the USA or Germany than I did in the Faroes, and that statement holds even if comparing only land-based reception. 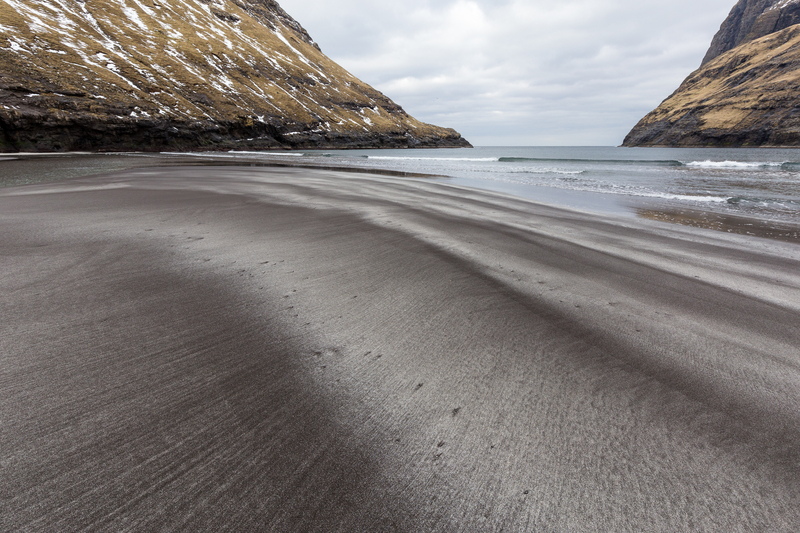 This is one of the reasons that a vacation here, even if the terrain is unforgiving and the weather is unpredictable, that the Faroes surprise and impress far beyond what landscape photographs might reveal. 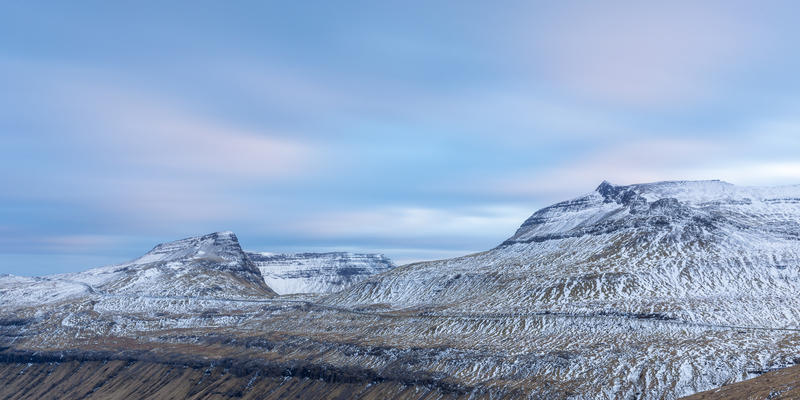 That’s not to say that the Faroes aren’t downright photogenic in their own right. Churches are often photographed there, and while the one in Saksun frequently basks in a blinding Instagram spotlight, the church in Tvøroyri (the Tvøroyra Kirkja) stands out as it’s not quite like the others. It’s missing a thatched roof, for instance, and its colors are a little more prominent than the standard white, black, or grey of most other churches. 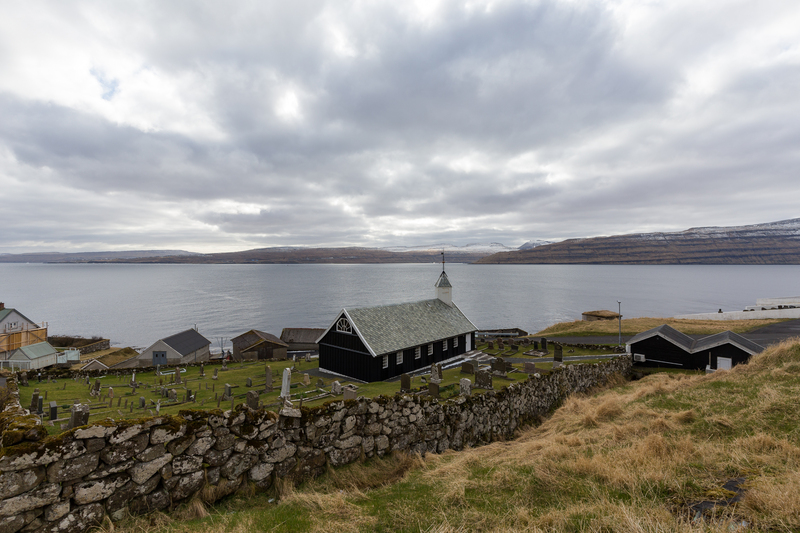 The church was actually built in Norway and shipped to the Faroe Islands, which might explain how it might look different from other Faroese churches, but it doesn’t necessarily explain how (or why) it was accepted here. 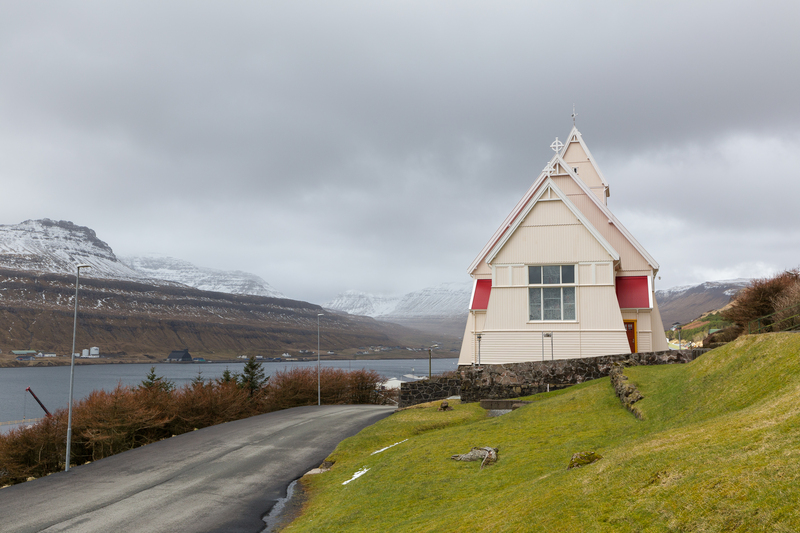 In pretty stark contrast to the church on Suðeroy, the church of Nes — in similar fashion to the nomenclature of the Tvøroyra Kirkja, the aptly named Nes Kirkja — looks like a traditional Faroese place of worship, minus the grassy roof that outside of Instagram might be more uncommon than common. I found its location, perched on a hilltop and proudly facing Tangafjøður, somehow calming and perhaps even uplifting; maybe it was just the weather, which had remained dry the entire afternoon, or maybe it was sadness that came with the realization that my time in the Faroes was coming to an end, but this was perhaps my favorite church to photograph in the islands. As if I had a calling from that church to challenge this new favorite, I headed back out to Saksun, but this time I was determined not just to photograph the church but rather also to check out the tidal lagoon that led westward, opening to the vast North Atlantic. I got lucky with my visit as I could line it up with low tide, and having the entire lagoon to myself as I walked the 1.5 miles to and from allowed me to slip into thought, pondering what conclusions I might draw from my visit and whether I might be back for another visit when the weather smacked less of winter. I took a few shots of the sand patterns on the beach and started heading back when the incoming tide might be reminding me my time was up. Later that afternoon, I drove out to Viðoy, the easternmost island accessible via the main islands by road. I had hoped to venture to Fugloy and Svínoy, too, but these two islands are allegedly so prone to bad seas that ferry departures are cancelled often enough to not warrant the risk of being stranded. The land connection from Borðoy to Viðoy is thankfully much less likely to shut down in bad weather, which begs the question of how travel between the islands took place prior to construction of the causeway in 1972. I had thought the Faroes would be a good landscape photography spot, but between really enjoying sleep and the clouds not really giving me a break (literally and figuratively) to spot the northern lights, I only managed one other sunset than what I had tried with Gásadalur earlier in the trip. On the alpine buttercup road leading out of Tórshavn, I thought I might be able to catch some light in the clouds one evening and set up my tripod to wait, staying around until the last light faded from the sky. Rich colors never materialized, but Lightroom can be a powerful tool. I could have used split toning to add colors that didn’t exist in the sky to the picture I took, or saturated what colors were there to a point that rendered them unnatural. But the reality was different; the reality is the photo posted here. And that’s okay. Not every sunrise or sunset I shoot is the vivid or moody scene I have in mind; Riffelsee has shown me a good half dozen times that nature will always have her way. 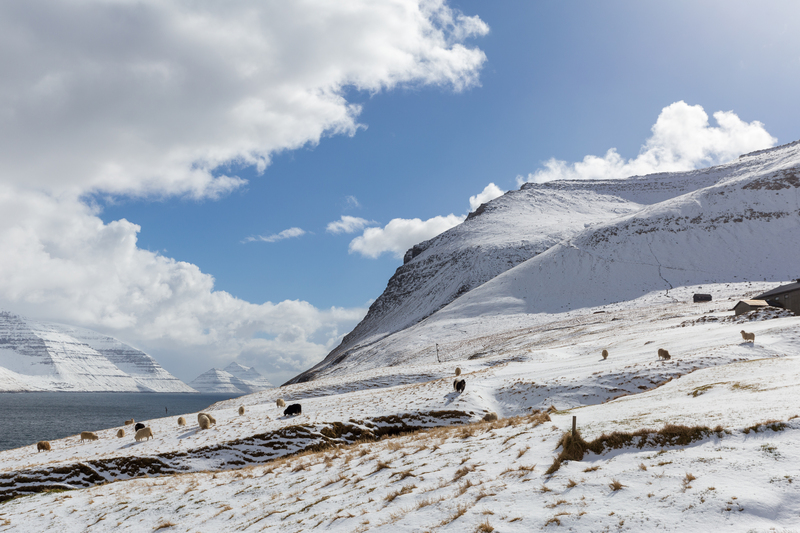 I therefore left the Faroes not disappointed with the clouds or snow or lack of booming sunrises and sunsets but rather impressed with all the island opened my eyes to; it’s a beautiful and remarkable place for reasons beyond its landscapes. In Germany, sometimes I get stares — on public transportation or in parks, for instance, and even in restaurants. I was a bit surprised that in a land that gets arguably far fewer Asian tourists that I was never once stared at by the local human population. The only stares I got were from sheep, who really don’t discriminate their stares based on race (or, really, anything). I left the Faroes unsure why this was, but probably no answer is needed. If there were one, in my mind it’d be because every so often the weather proves that nothing is really so out of place in the Faroes, not even even a colorful sunset. I was miles away from my tripod — and being on a boat, miles away indeed from use for a tripod — when the only sunset of my trip bloomed off the port side of M/S Smyril. It didn’t last long, but it made an impact: I’ll always remember the moment, the breeze, the islands floating by, even if I didn’t have a camera with me.